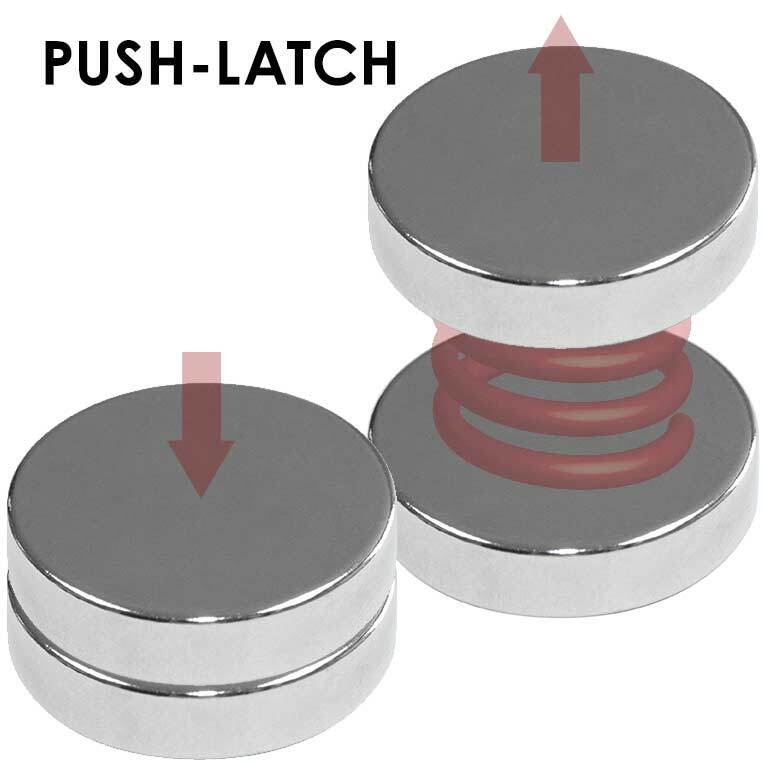 Push-Latch Polymagnets® are produced in matched pairs and will repel until they pass through the zero-force transition point - a specific and pre-determined distance - where they will then attract and attach. They do not have a bias to align, so they must be constrained to perform properly. 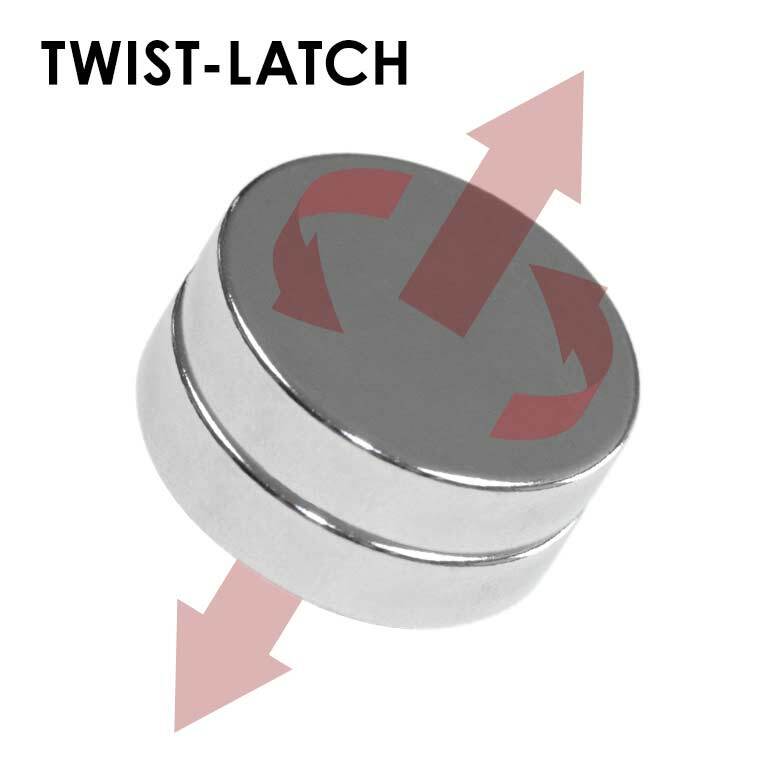 Twist-Latch Polymagnets® are similar to Push-Latch magnets, as they will repel until they pass and/or rotate through, the zero-force transition point where they will attract and attach. They differ by having an alignment pattern that will repel or release the magnets when one magnet is rotated into a specific orientation.